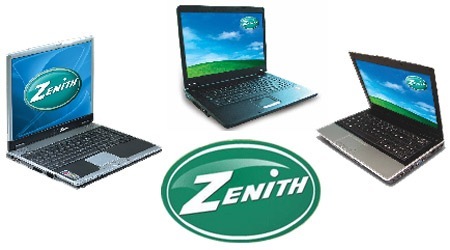 India is a country that desperately needs affordable computing, and Zenith has taken the step in right direction. Cutting the costs of PCs to bare minimum and counting on Volume growth. If you consider Purchasing power parity, cost of computers in India is quite high currently compared to most of the nations globally. These low cost computers will not only help increase the penetration of home computers, but also help boost the broadband usage in India which really dismal. Zenith EcoStyle is ideal for the youth, with its aesthetically designed, state-of-the-art trendy features and the host of content available on it. The laptop is Net enabled, and comes preloaded with the Microsoft productivity suite: an Operating System (Windows XP Home Edition), Microsoft Works (includes Word Processor, spreadsheets and PPT viewer), and Microsoft Windows Live Suite (Includes Email Client, Messenger and Family Safety from Windows Live OneCare). The EcoStyle PC will give the customer an option of choosing Windows Vista Starter or Microsoft Windows XP Home. The portability of the PC makes it convenient for professionals to carry it whenever they need to – it weighs just 2.2 kg and has dimensions of 185mm x 250 mm x 70 mm. The desktop will also come preloaded with the Microsoft productivity suite. Bringing together ease of use and professional performance, the EcoStyle PC is ideal for small office or home offices owners. If you do not have a home computer, its time to buy it this festive season! rt nothing can be said without the knowledge of makeup. NO COMMENT UNTIL A CLEAR SPECIFICATION IS GIVEN. 'COZ. CONFIGURATION IS THE MAIN QUESTION FOR A USER. i want 20 desktop computers with low price. where can i buy plz any one refer me. Please give me details/specifications of 14999 laptop & 11999 desktop. Desktop PC is good. Is it available Mumbai/Navi Mumbai? Where from I can purchase these Laptops, please? Where I can buy this laptop? If i want to bring this laptop in pakistan how much to com to me? Specifications of the cheap Laptop and the cheap Desktop? Why are the same not available in Bathinda. Punjab. India?